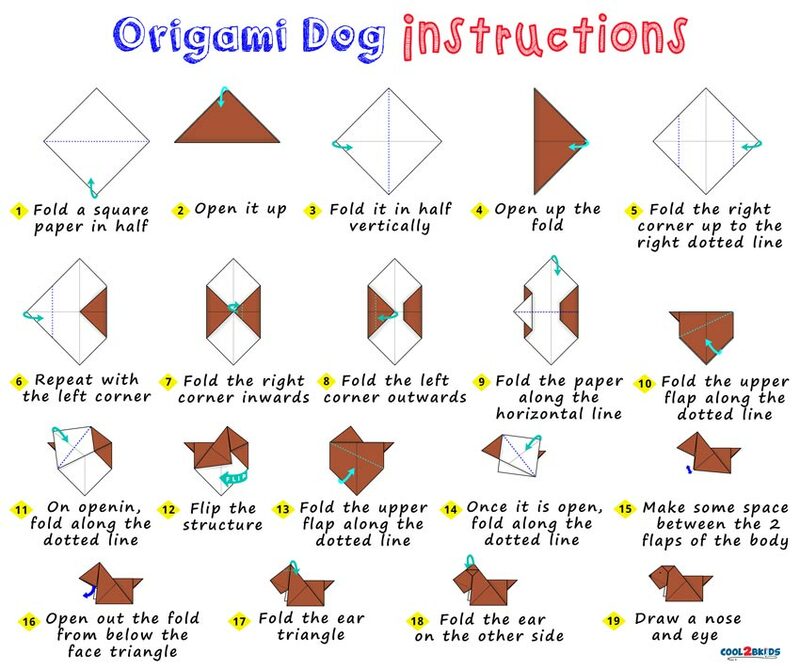 An origami dog can be made quite simply by virtue of the step by step provided below. Beginners to Japanese origami will find it quite interesting. The 3D dog made here is in the sitting position. Hence the legs of the animal are not visible. The face, body, ears and tail can be seen distinctly on the finished dog. You would need your marker pens for drawing the facial features in the last step of the printable instructions. When made with a square paper of small size, the shape resembles that of a puppy. Kids would love the idea. On the other hand, giant paper dogs would be equally thrilling. You can use it for decorating purposes on special occasions. 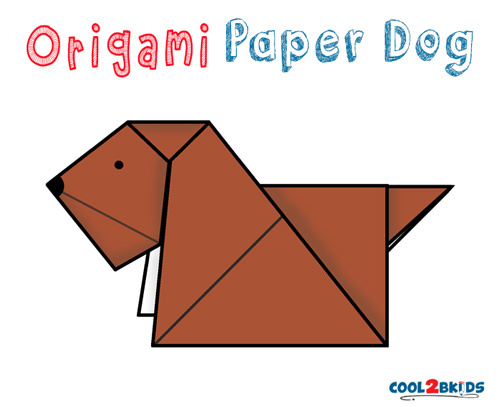 The diagram can also be utilized for dog origami out of a napkin. Designing a dog bookmark could be another innovative idea spawned off by the main project.